Perennial convention guest Verne Troyer has died, after apparently being on life support for the past several days. He has always struggled with alcohol and I think that's what put him in the hospital. When I met him at Chiller this past October, I was amazed how truly tiny he was. I was also impressed by his savvy....the guy took credit cards at his table. I'm glad I met him then, because that was going to be my last chance. Incidentally, he was my first ever celebrity photo op. When and where did you get him? I met him at 2003 World of Wheels but either the photo never took or I've lost it as I remember shaking his hand in the photo but I cant find it. Next year 2004 was R. Lee Ermey. Both really nice guys. He actually had a paid appearance at a college bar right across the street from Hofstra around Halloween 2009. I didn't get a chance to meet him but I know a lot of people who got photo ops with him from that night. I was a big fan of his work in Austin Powers 2: The Spy Who Shags Me. I also used to love the Surreal Life. If you're such a "big fan" how come you didn't go to one of the many cons he did? 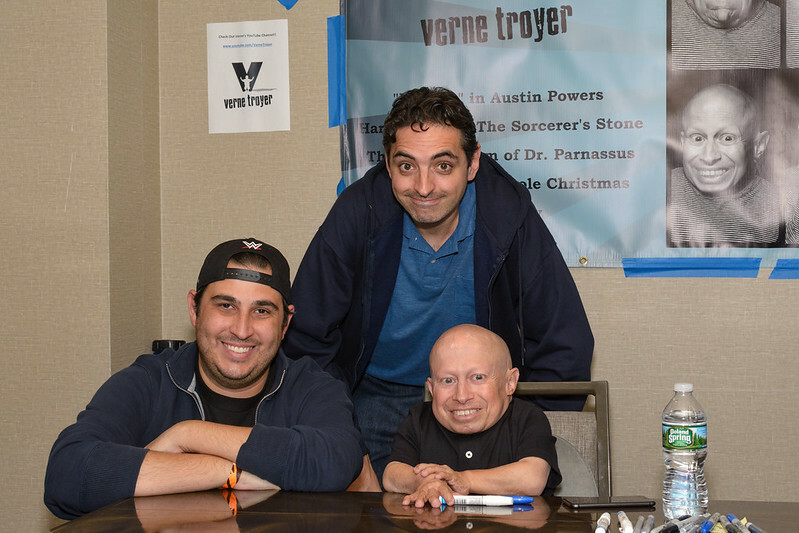 Because I'm not going to a convention just to meet Verne Troyer? I said I was a big fan of **one** movie he did. That's not enough to get me to pay admission into a con on top of whatever he charged.